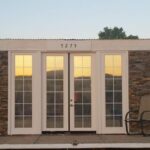 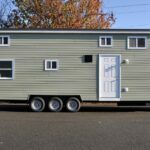 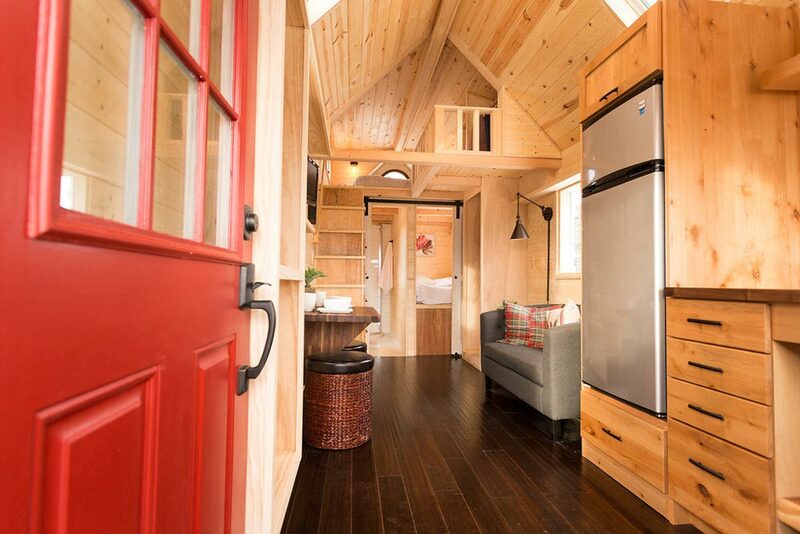 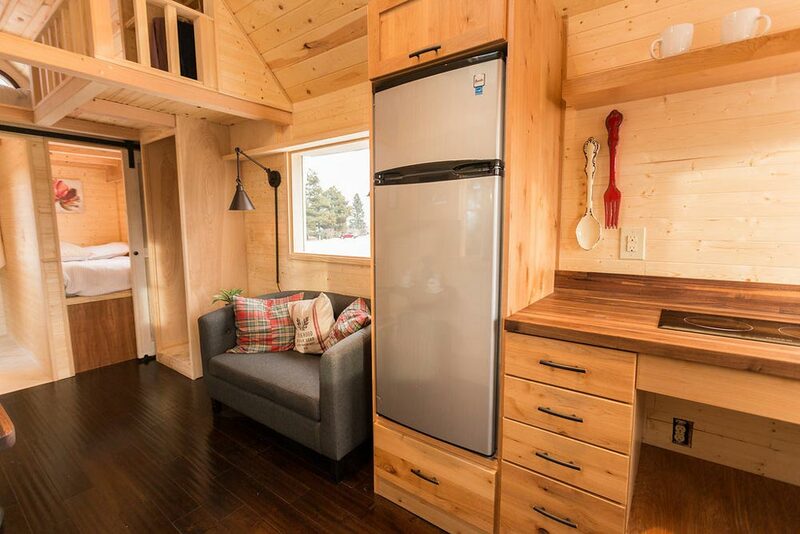 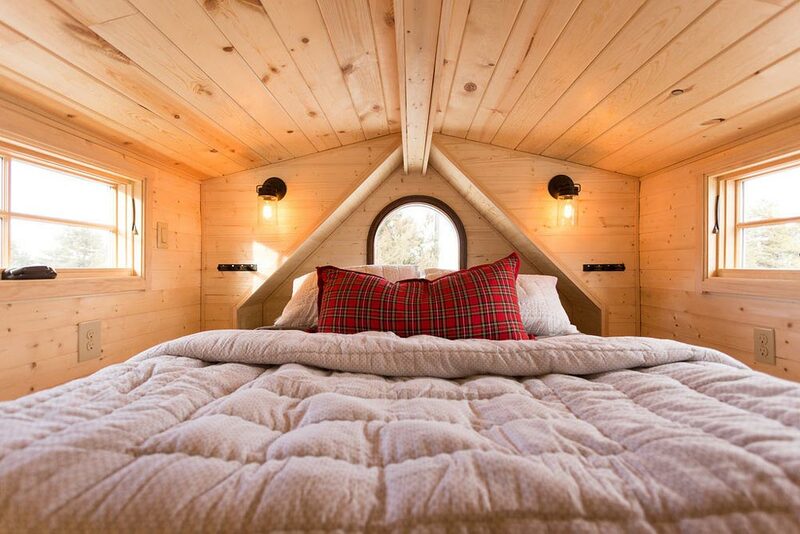 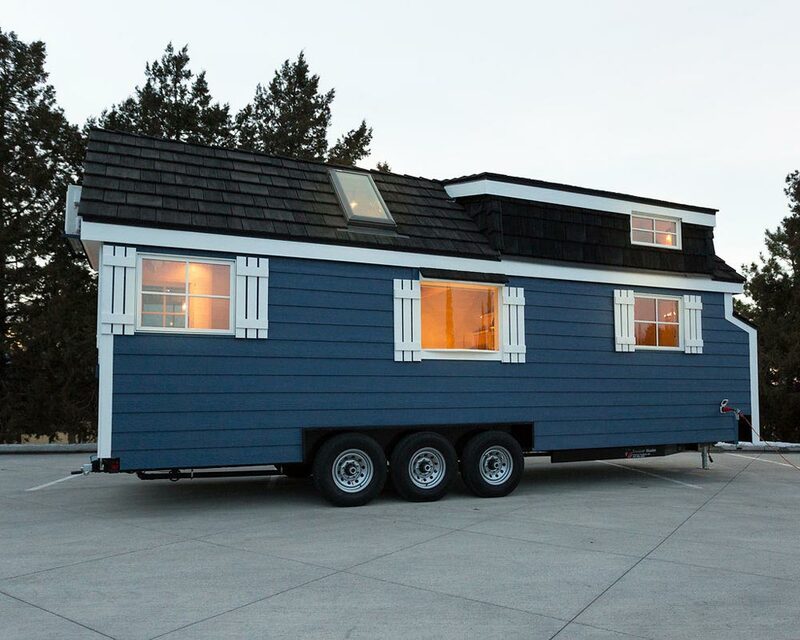 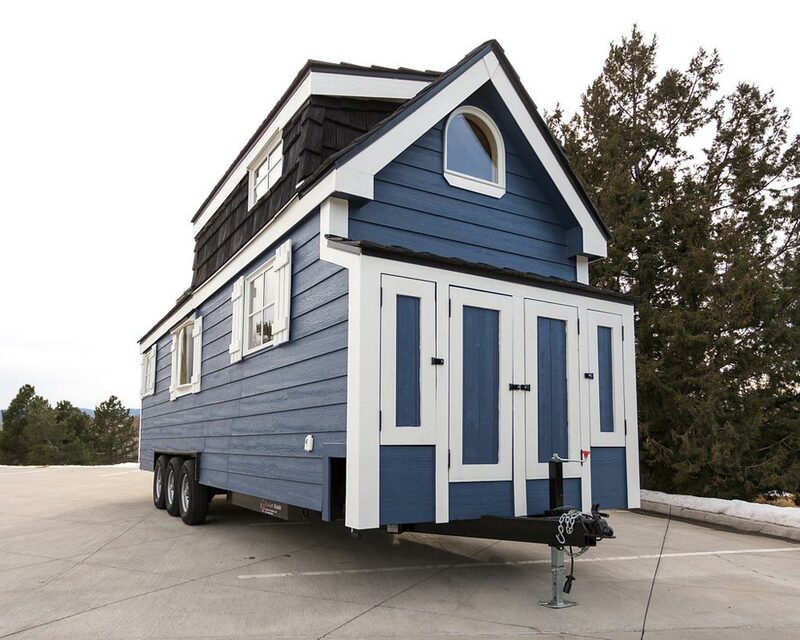 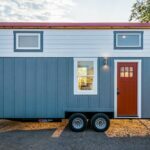 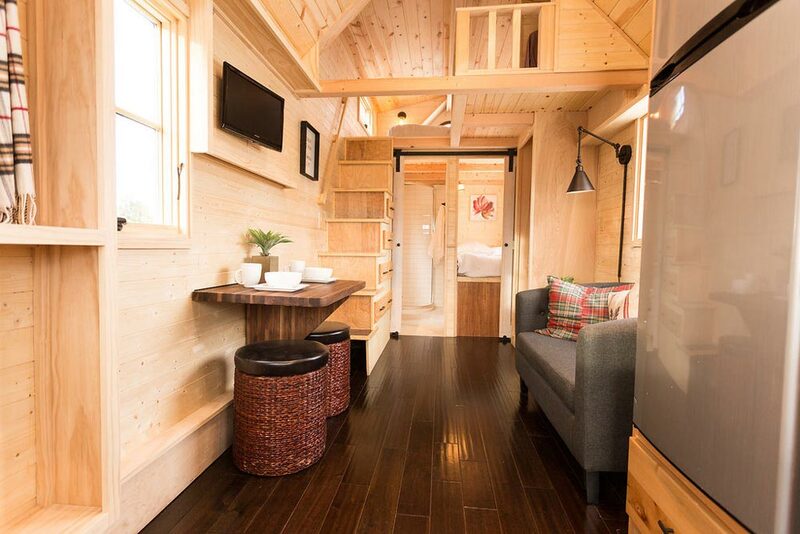 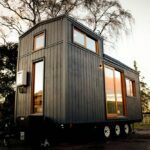 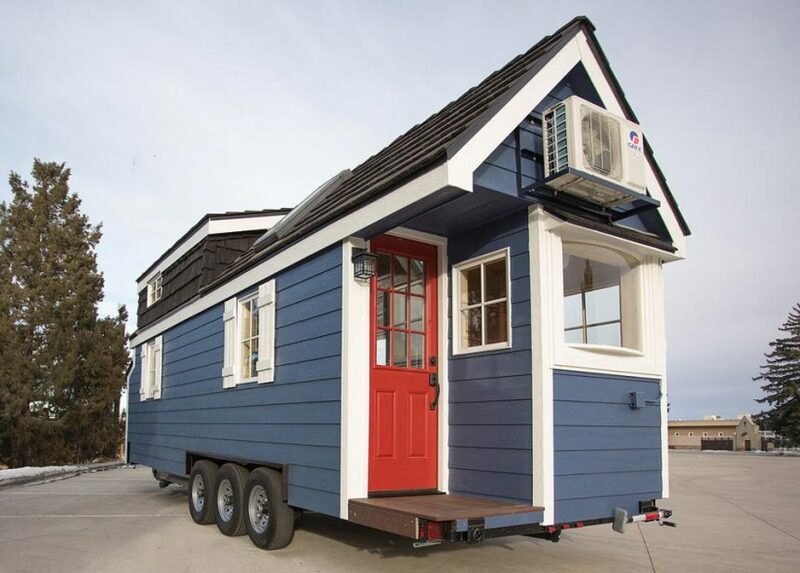 The 26-foot Porchlight was built by Hideaway Tiny Homes in Denver, Colorado. 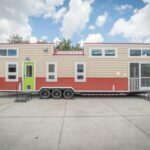 The home is 288-square-feet and features a queen bedroom loft and twin size main floor bedroom. 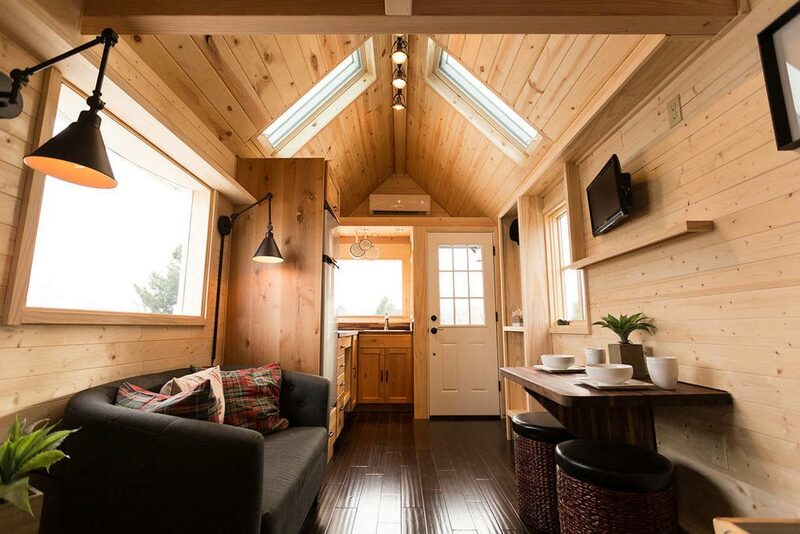 Two skylights and large windows provide plenty of natural light. 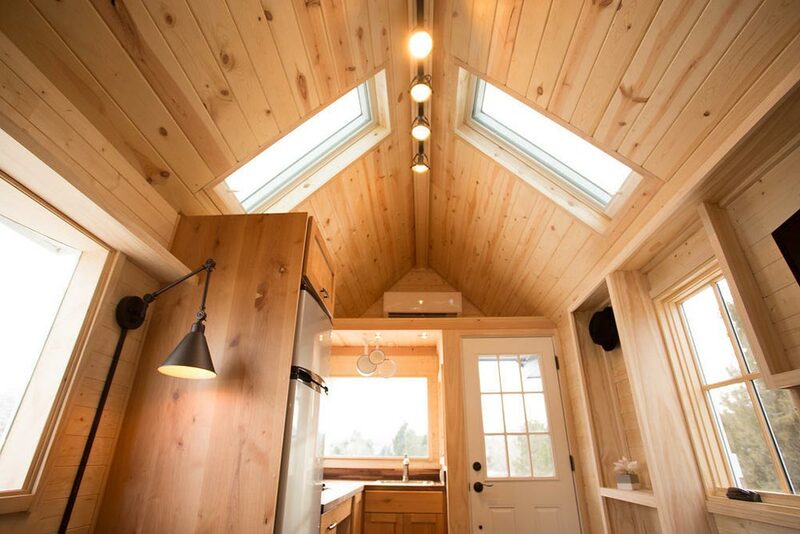 As you first enter through the covered porch, the L-shaped kitchen is on the right-hand side. 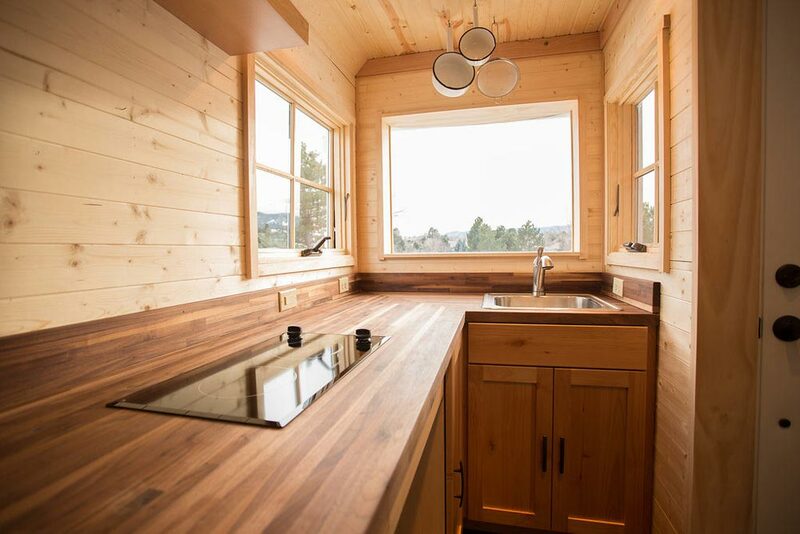 The kitchen includes an electric cooktop, refrigerator with storage drawer underneath, butcher block counters, and a stainless steel sink. 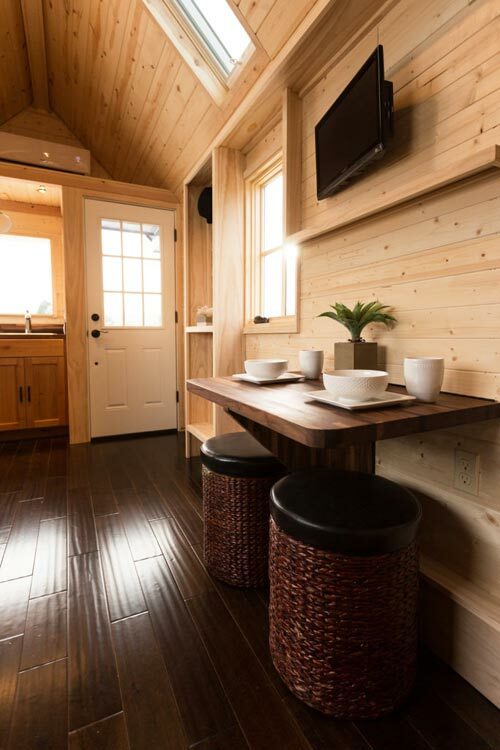 Next to the kitchen is the living area with couch and table. 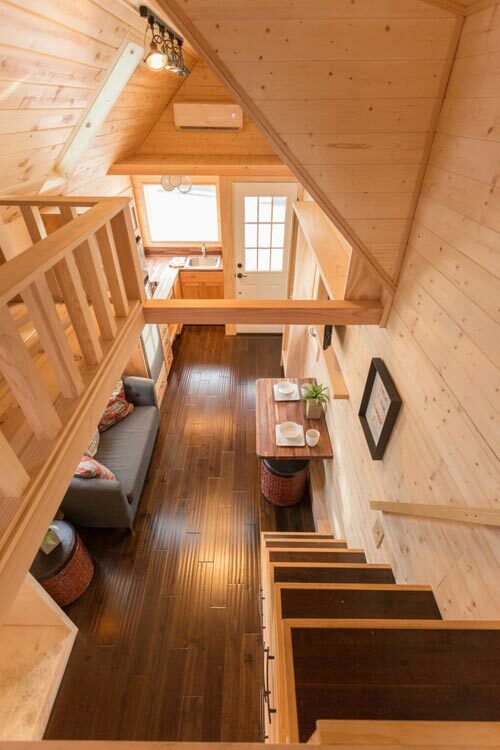 At the rear of the house is the twin bedroom and bathroom. 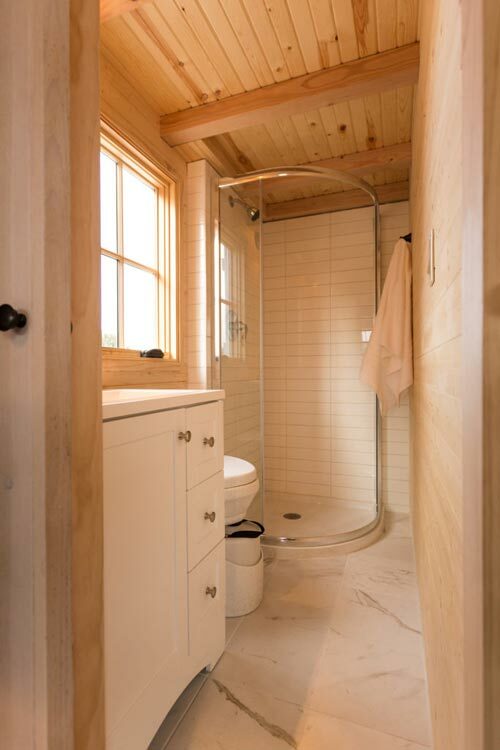 The bathroom has a corner shower, composting toilet, and vanity. 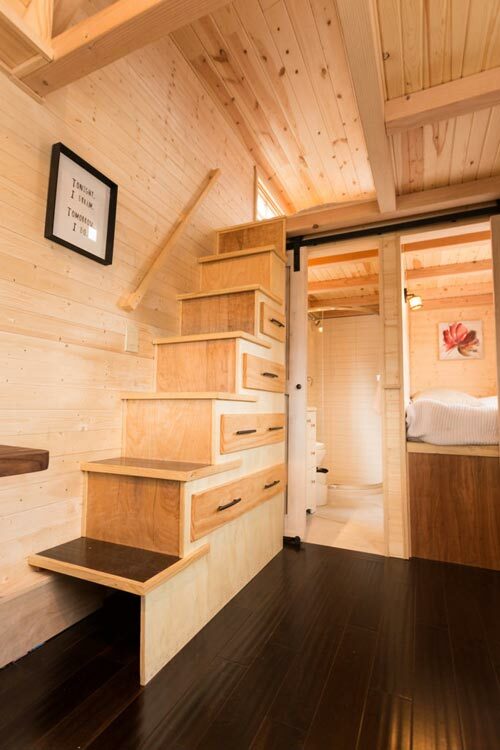 Above the bedroom and bathroom is the queen bedroom loft with large closet. 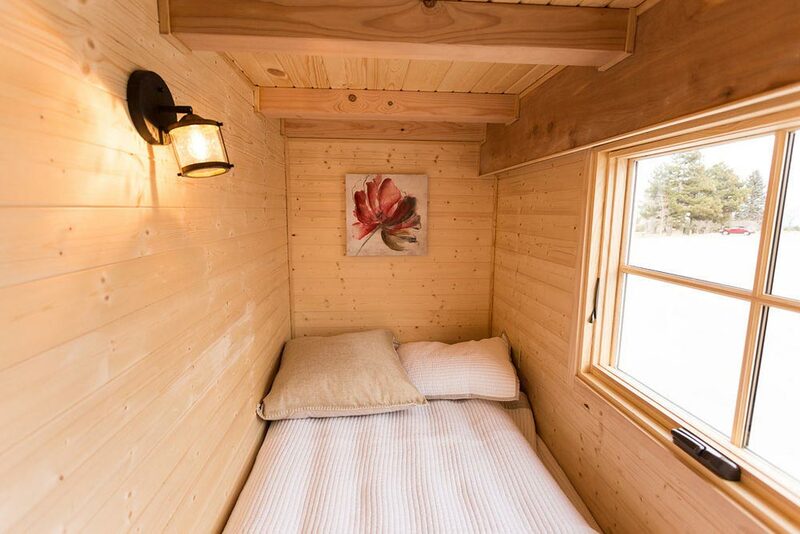 The Porchlight was listed for sale at $79,900. 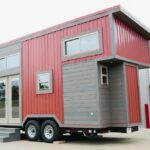 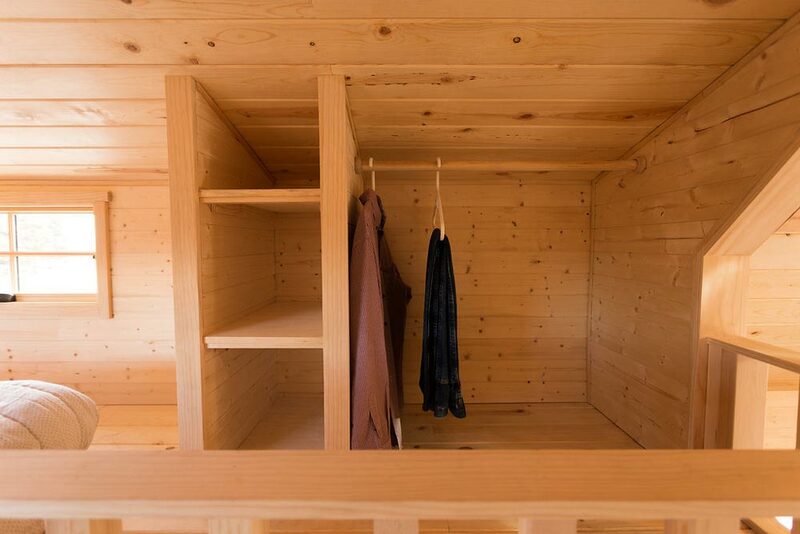 For more information, you can contact Hideaway Tiny Homes.